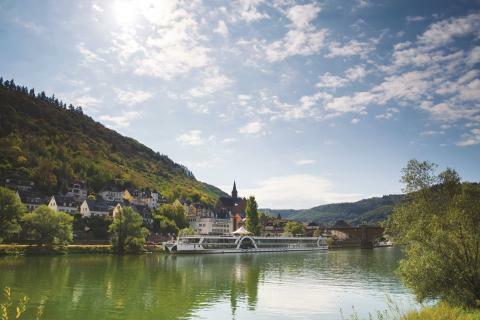 Building on a successful inaugural year in 2018, 156-guest Brabant will return to the Danube, Moselle, Rhine and Main rivers, with cruise durations ranging from five to 25 nights, and an expanded enrichment programme of expert speakers to allow guests to experience the best of each destination. “We enjoyed a very successful first year with Brabant in 2018, but in 2019 we stop being the ‘newcomers’ and will really stake our place in the river cruise market. People have found a love for what we do, and bookings are already up by more than 30% on the same time last year. “In 2019, our guests can enjoy an expanded enrichment programme, with knowledgeable speakers – experts in their respective fields – joining a number of sailings to enhance the holiday experience. This adds to our immersive programme of shore excursions, which are led by insightful guides, local to the various ports of call. - Seven-night R1909 ‘Valleys & Mountains of Germany’ fly-cruise, ex Nuremberg, Germany (flights from London Heathrow / Manchester) on 30th May 2019. Prices start from £999 per person. - Seven-night R1913 ‘Romantic Rhine & Moselle Marvels’ fly-cruise, ex Basel, Switzerland (flights from London Heathrow) on 27th June 2019. Prices start from £999 per person. - 10-night R1923 ‘Sailing the Danube’ fly-cruise, ex Hirsova, Romania (flights from London Heathrow / Manchester) on 7th September 2019. Prices start from £2,199 per person. Experts set to enhance the guest experience on board Brabant in 2019 include: cyclist and travel writer, Andrew Sykes; Hugh Ellwood, with expertise in history and architecture; wine expert, Martin Ward; and Second World War historian, Philip Sanders. These experts will deliver a series of lectures on board Brabant, which they will then complement by accompanying a number of tours and providing hands-on advice and guidance to guests throughout the shore experience. Fred. 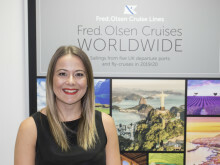 Olsen guests – who are predominantly British – will feel at home on board Brabant, with English spoken throughout and all transactions conducted in Pounds Sterling. The British taste is also reflected in the cuisine, customer service and shore tours on offer. All prices shown are based on two adults sharing a twin-bedded Standard Room, and include accommodation, all meals and entertainment on board, port / airport taxes, flights and transfers. For further information on Fred. Olsen River Cruises, visit the website at www.fredolsencruises.com/river-cruises Book online, call Reservations on 0800 0355 242 (Monday to Friday, 8am to 8pm; Saturday, 9am to 5pm; Sunday, 10am to 4pm), or visit an ABTA travel agent.